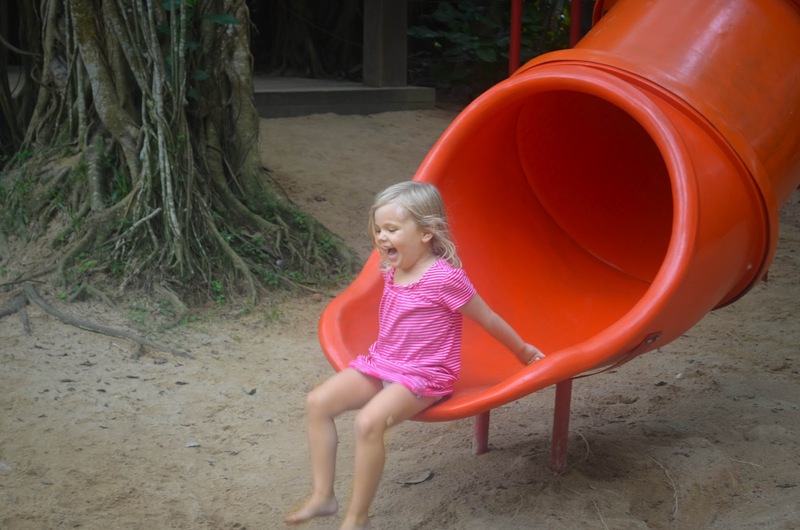 Happy girl coming down the tunnel slide. Riley tumbling down the slide. 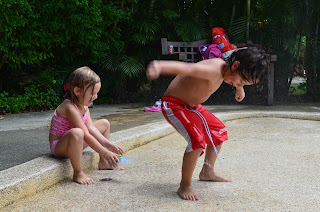 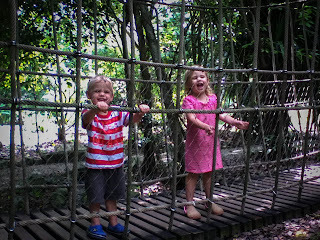 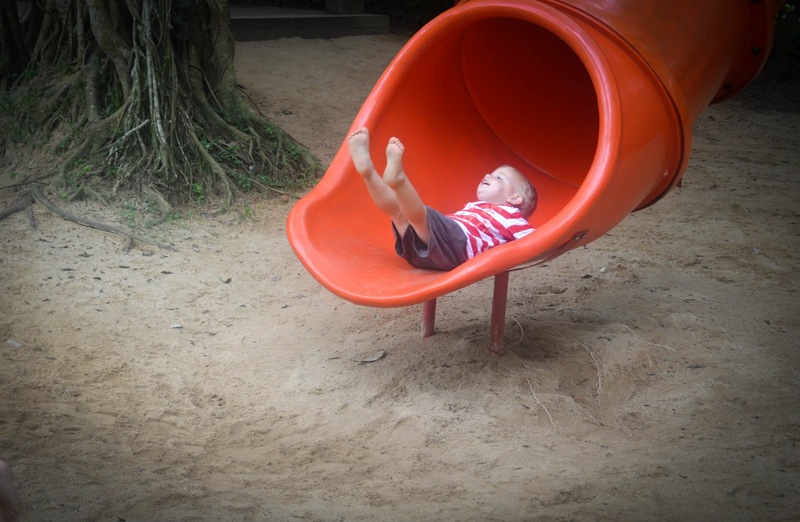 Another fun day at the Singapore Botanic Gardens Children's ~ Jacob Ballas.